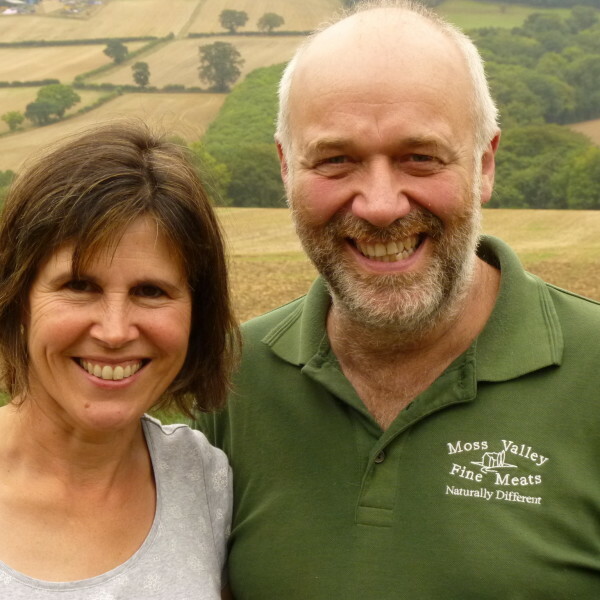 Stephen and his wife Karen farm 220 indoor sows and 200 acres (81 hectares) of crops to make their own animal feed. The farm produces 2,500 Duroc pigs annually, reared from piglets up to five-and-a-half months old and then sold for meat. 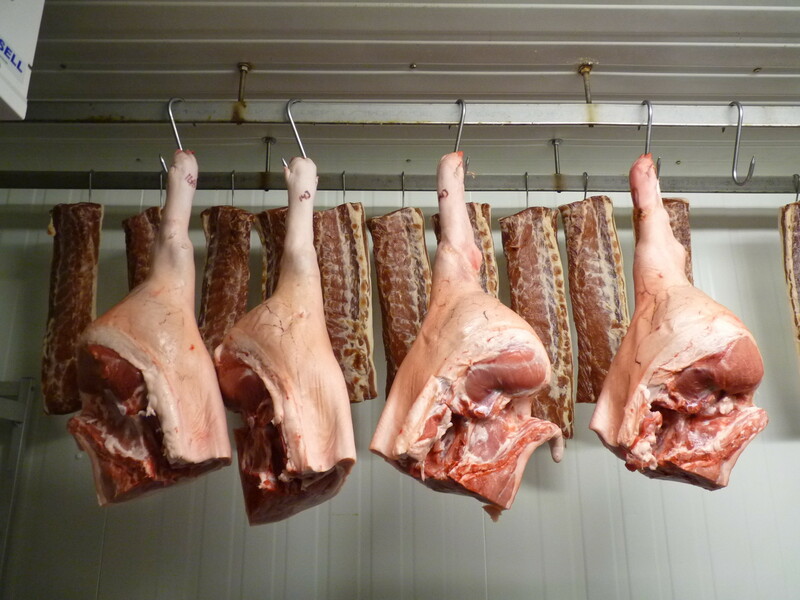 The males (boars) are sold to a large meat processor and the females (gilts) go through Stephen’s butchery. 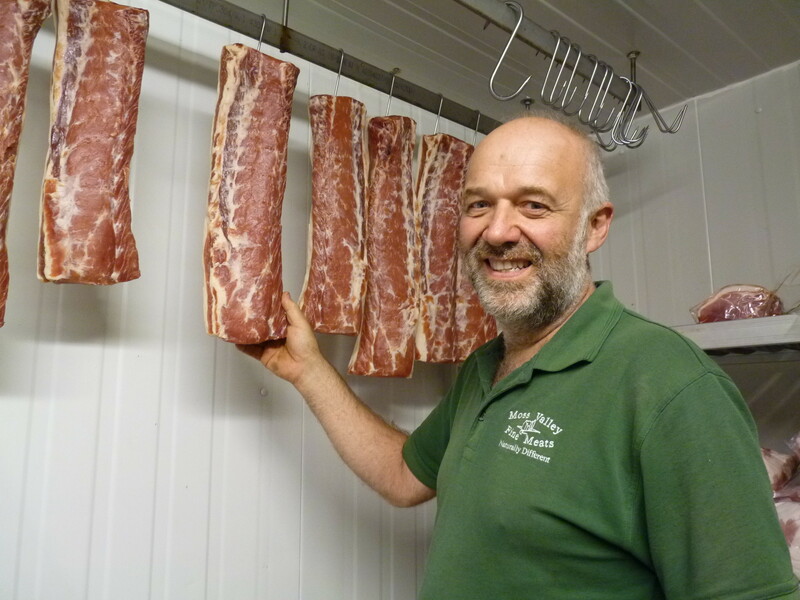 His pork, bacon and sausages are sold locally to restaurants, hotels, cafes and farmers’ markets. 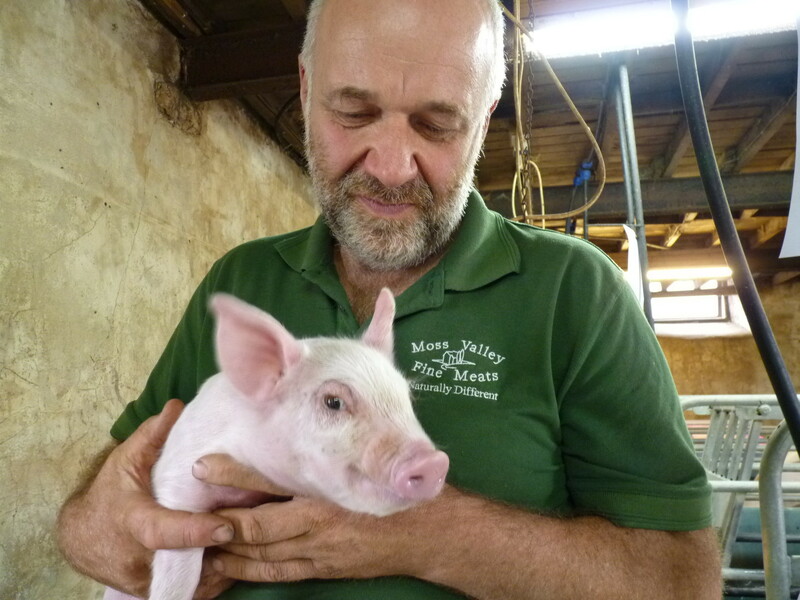 In many commercial indoor systems, like Stephen's, the sows give birth in farrowing crates. This prevents them from lying on their piglets. They spend about a month in these pens; until the piglets are weaned at 26 days old and the mother is mixed back into loose pens with the other sows. After 5 days, she will come on heat again and will be artificially inseminated by the farmer. A sow is pregnant for three months, three weeks and three days. On average, Stephen's sows have 2.3 litters a year each. Stephen is a fourth generation farmer and his family have farmed in the Moss Valley for 100 years. Stephen likes restaurants, dining, theatre and amateur dramatics. He stores sets, scenery and costumes on the farm for his local theatre group. Next to the pig sheds, behind a black door marked Number 10, there is a fine collection of straw boaters and silk dresses. The hot summer of 2018 led to an increased number of house flies in some of the pig sheds. It was uncomfortable for the pigs and everyone who works on the farm, but Stephen did not want to use more chemical sprays to control them. Instead they opted for a biological control – predator flies. The larvae of the Orphyra fly feed on the larvae of house flies. 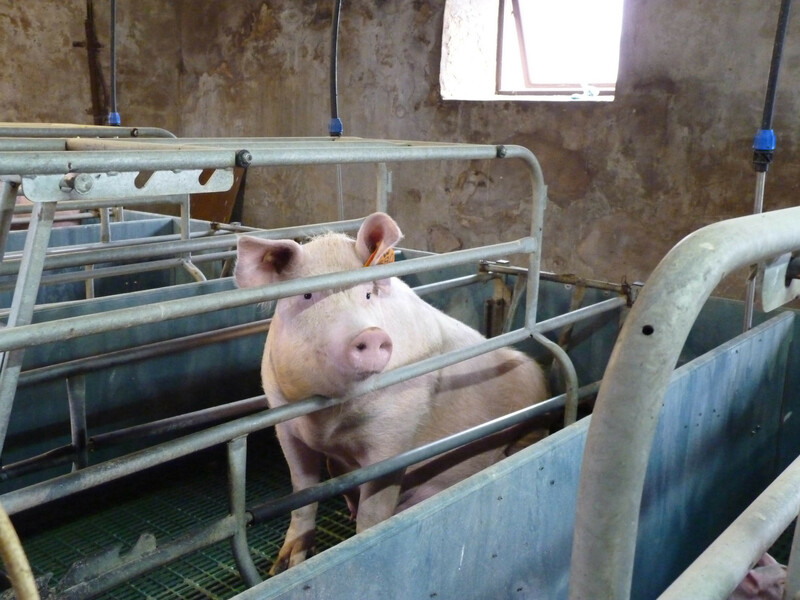 Conveniently for pig farmers, they hatch in the muck underneath the slats and stay down there throughout their adult lives without bothering the pigs. It has considerably reduced the number of flies in Stephen’s sheds. Butchery and renewable energy. Two wind turbines (85kW and 15kW), straw burner and 4kW of solar panels. Member of NFU (local branch treasurer and former local branch chairman). Member of the National Pig Association (NPA) and Made in Sheffield. BBC local radio. Yorkshire Post Pig Farmer of the Year 2017. Nominated for Farmers’ Weekly Pig Farmer of the Year award in 2017. Appearances on BBC, SKY and ITV as part of the ‘Stand by Your Ham’ song campaign in 2008, to raise awareness of the financial crisis in pig farming.